Thank you to everyone who has commented and who is sending positive vibes. And a special thanks to the amazing gals who have reached out to me on FB or text – I really, really appreciate it more than words can express. It is so comforting to know that others care and that I’m not alone. I’m working through some really tough questions right now. 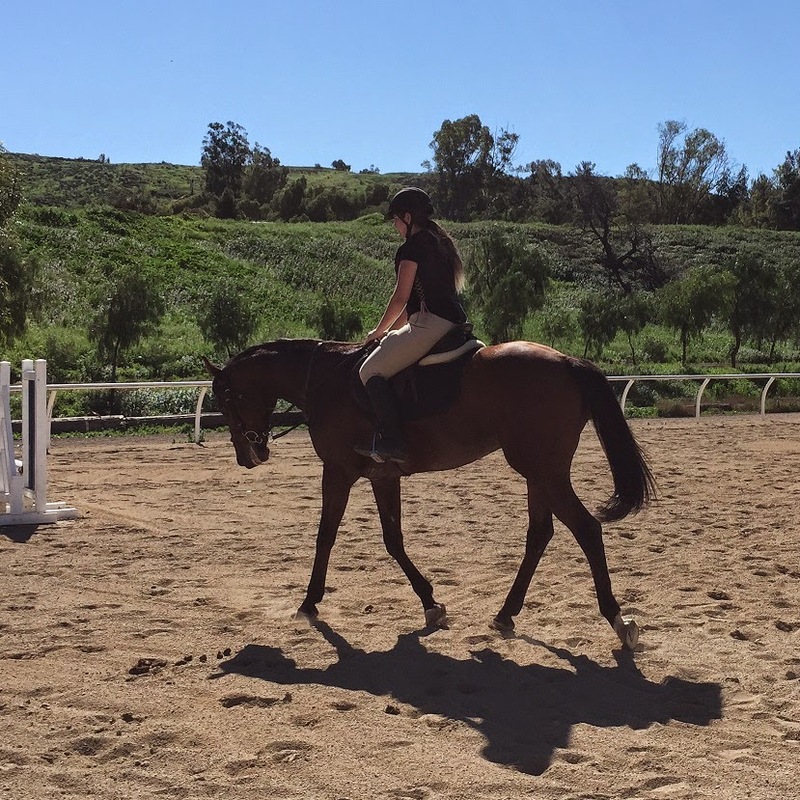 Is Hemie the right horse for me? Am I the right rider for him? Is Laurie the best trainer for him, or for me? Are there things I can do – solutions I haven’t tried yet? What is the best situation for him to have a happy, productive, safe, enjoyable life? What is the best situation for me to have a happy, productive, safe, enjoyable horseriding experience? With the ongoing recovery from my injuries, the car wreck situation (and now, car shopping situation), and some imminent travel plans, I’m trying not to pressure myself into any hasty decisions. But I also hate these big questions hanging over my head. I like conclusions, I like plans, I like feeling in control. In the meantime, I’ve been getting some low-key saddle time in. 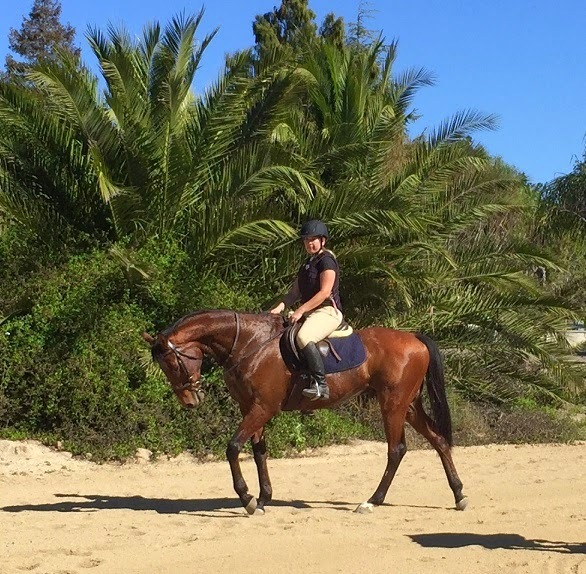 Barn-mates have generously offered me rides on safe older horses, which has been very nice. I did get on Hemie for just a few minutes the other day, just to walk and a little bit of trotting after he’d gotten a great ride from Laurie. Again, thank you so much to everyone. I really, really appreciate the support of the blogosphere. I consider you special blog friends, and I truly am grateful for the comments and input. All of it. Tough questions for sure. From someone who went through two serious wrecks last year (though, both car related), don't be afraid to take a minute and really let yourself realize all the stress you're probably carrying so you can start to let go of it. Those kinds of situations have a way of really leaving some mental baggage. Positive thoughts to you while you sort stuff out! You certainly have some tough questions to ponder. I like to be constantly moving forward and always have a plan to, but make sure you take the time you need to make the best decisions you can. I think Austen has great advice. While you're figuring things out and taking a breather, it can't hurt to get a second opinion from a different trainer. Not a decision, just fact finding! I'm so sorry you are going through this. I hope you find some answers. Yikes I've missed a lot!!! Nothing to add but sending lots of positive vibes! good luck tackling these big questions. i love reading your blog and really respect that you've been so open about these questions and the recent happenings in your riding life. Such a difficult thing to share – thank you for being so honest with all of us. Wishing you nothing but the best.